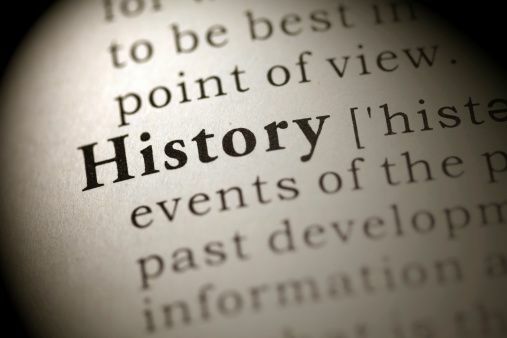 “Just to let you know, I’ve never been good at history.” “History was my worst subject in school.” “Oh, I’m terrible at history.” Teaching history at Independence University, I hear things like this constantly from my students. Some students are sure of failure because, according to their experience, history classes are boring, dry, or irrelevant, and they don’t see how it relates to their own experiences. History classes traditionally focus on timelines and dates, and who did what and when, etc. It is difficult to keep George Washington straight from Andrew Jackson or remember that women’s suffrage came before Prohibition. After all, what does history have to do with your life today? It’s just a bunch of dates and dead people who rode horse-drawn buggies and cooked over a fire! You’re living in the twenty-first century with a car and electric stove, trying to get a job in IT or graphic design or healthcare, or business management. If these jobs didn’t even exist 150 years ago, what does history have to do with your life today? Right? For many students, it’s difficult to see how a history class is relevant to the career-focused, accelerated degree programs offered at Independence University. It can be difficult to find relevance when you are marching through 400 years of history in four weeks. This made us take a hard look at how we teach history at Independence University. How do we make this class relevant and understandable to our students today? We came up with a brilliant solution. Instead of a curriculum revolving around a traditional dateline structure, the class is structured around four themes: immigration and expansion, economic and technological innovation, political freedom, and equality versus equity. Each week, the class focuses on one of these themes. The assignments, discussions, quizzes, and lectures focus on the material in American history related to each of these ideas. Each theme offers the opportunity to learn how each of these modern ideas developed throughout 400 years of American history. Now, when we talk about immigrants, we discuss how everyone came here, as well as how our ideas of immigration and citizenship developed, and relate it to the current national debate about immigration. When we talk about political freedom, we talk about how our ideas of rights and freedom developed from George Washington and the American Revolution, to Abraham Lincoln and the Civil War, to Martin Luther King, Jr. and the civil rights movement. All of these discussions focus on how these topics fit into our lives today. Perhaps most importantly, studying our nation’s history gives you the chance to bring your own rich experiences into the classroom, interpreting and assimilating our collective past into your understanding of a brighter future. History? You’ve got this! About the Author Sarah Fulkes teaches history and ethics at Independence University and loves every minute of it. When she isn’t teaching, she reads, gardens, and geeks out to Marvel Comics Universe movies.